We all use Webcam, be it those random video calls, meetings or interviews. And for that, what you have to deal with is the crappy little WebCam or no webcam at all. Recently, I was stuck in a meeting with my webcam not working and then the idea struck. What if I could use my phone’s camera as a webcam? For the moment I found one but it was sort of buggy. So, I went in for the search of a good app that could really solve my problem. Below is the list of apps that could enable your phone to double up as a webcam. These apps are both for Android as well as iOS and works on both Mac and Windows. Let’s begin. Before we start with the apps, it’s important to know how to connect the phone camera with the client app. These apps mentioned below work on a client-server model. So, connecting the apps is a methodical task. 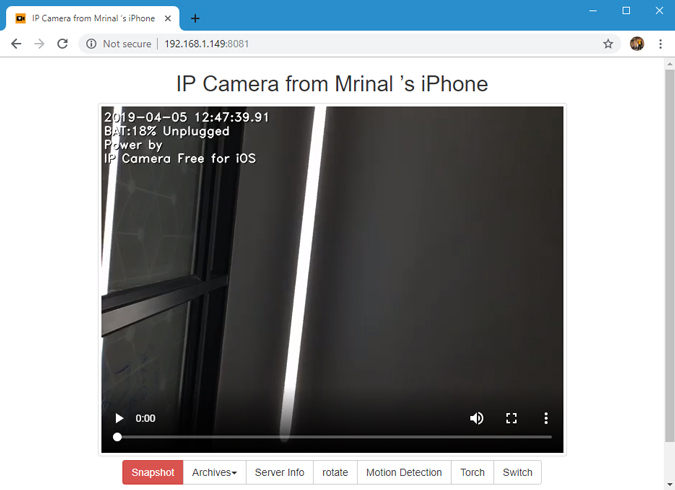 To demonstrate I will be using the IP WebCam mobile app and for testing, we will be using the Skype desktop application. 1. Firstly, download and install the IP WebCam app on your mobile phone. Now, open the app and navigate to the bottom of the screen and tap on “Start Server”. Make sure your phone and PC is on the same Wi-Fi Network. 2. Once you start the server, you will see the URL to connect on the screen. It should look like the following. 3. In my case, the URL is “http://192.168.1.136:8080”. So I can either enter the URL on my web browser or the desktop app. Following is how the interface looks like on the web browser. You won’t be able to see the preview on the web browser but you can see lots of camera controls. 4. 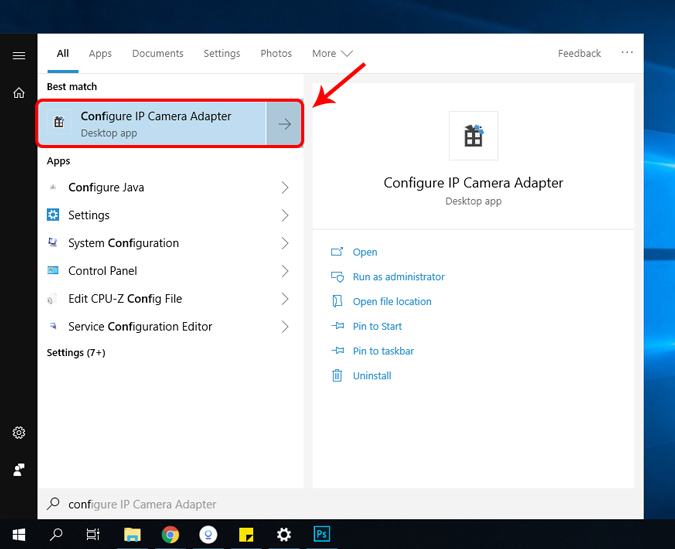 Now, to set up your camera as an IP webcam, you need to download the desktop app on Windows. 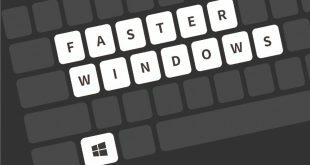 Install it and launch it through the start menu. 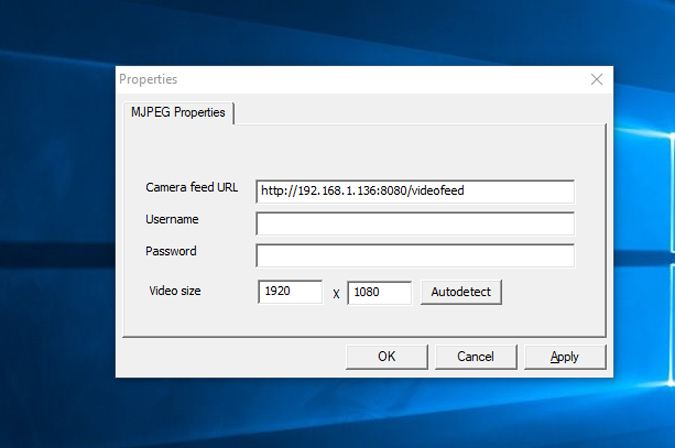 To do that, type “Configure IP Camera Adapter” on the start menu and click on the app when the search result populates. 5. On the desktop application, type the same URL displayed on the mobile app. 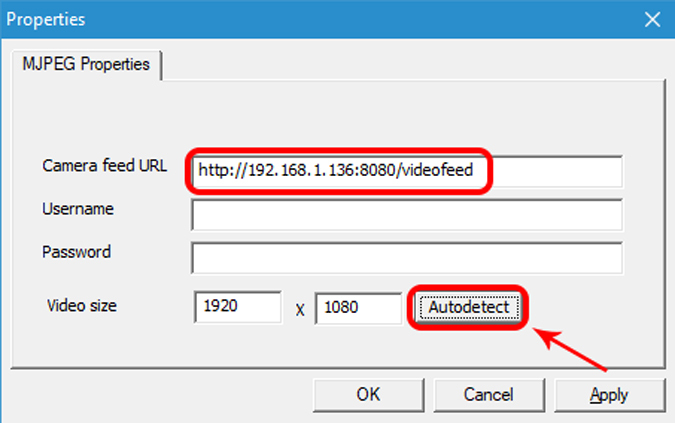 Suffix the URL with “/videofeed”. 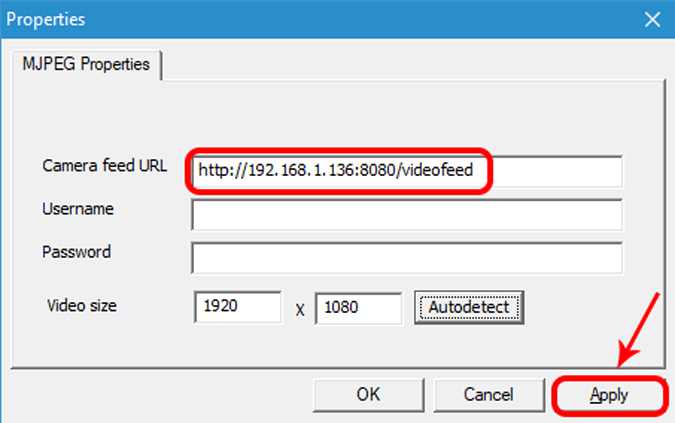 Finally, the URL should look like “http://192.168.1.136:8080/videofeed”. 6. Once you have entered the URL, tap on the “Auto Detect” button to test the connection. If the connection is successful, you will get the following message. 7. If the connection is successful then click on the “Apply” button to register the changes. 8. 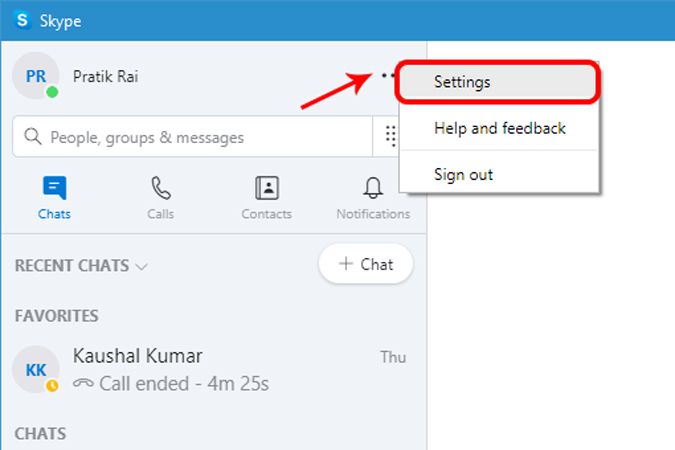 Now open the Skype Desktop app, and click on the three dots at the top-left corner. From the extended menu, click on Settings. 9. In the Settings menu, go to the “Audio & Video” tab to change the video settings. 10. 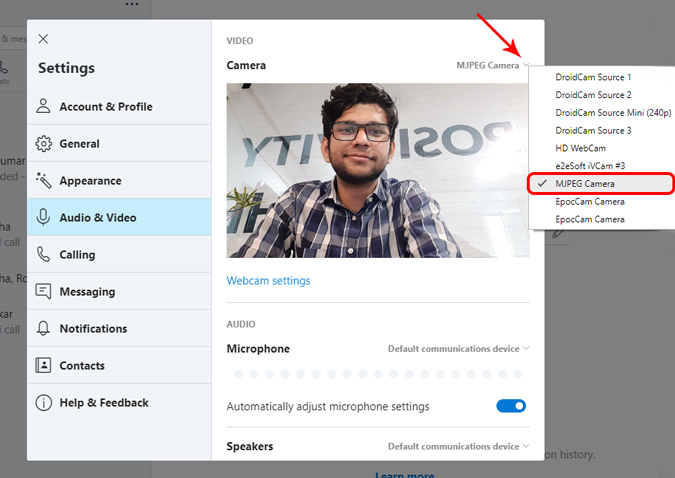 From the video settings, change the camera from “HD Webcam” to “MJPEG Camera”. This should stream the video feed from your phone. 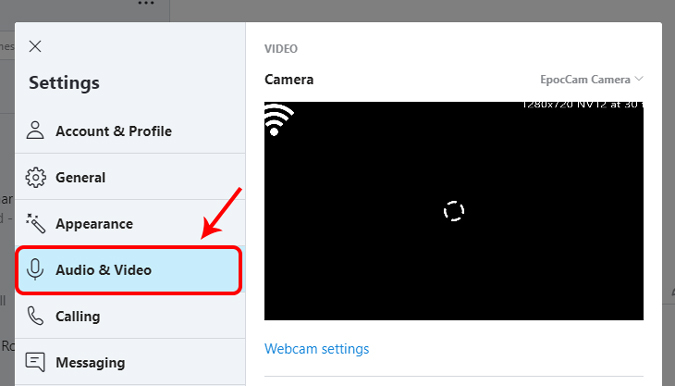 Now, you can use your phone camera as a webcam on Skype. Most of the iOS webcam apps are either paid or just don’t work. IP Camera Lite is an exception among these, it is one of the free webcam apps on iOS which works. The app UI is traditional and you will be greeted with a blank screen. At the bottom of the screen, you get a button named “Turn on IP Camera Server”. 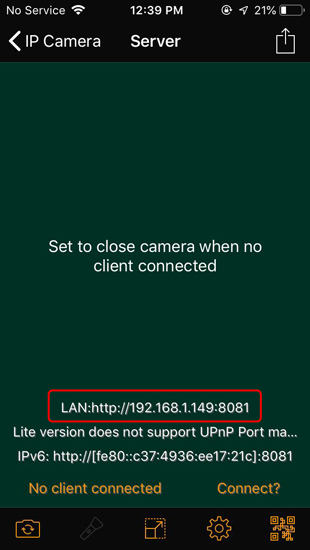 Upon clicking on it, the phone camera and webcam server starts and displays the URL on the screen. On the desktop, now you have to connect through the web browser. Just enter the URL provided on the phone camera app, you will be prompted for credentials. By default, both the username and password is “admin” which you can go ahead and change in the app settings. The app works fine and there is a noticeable lag in the footage. In the free version, you get watermark at the top right corner. You can use the app for various web-based video calling services like Skype, Team Viewer, Adobe Live Encoder, KM Player, etc. The app also allows you to share your camera’s microphone. This could come in handy because smartphones have a better microphone than the laptops. 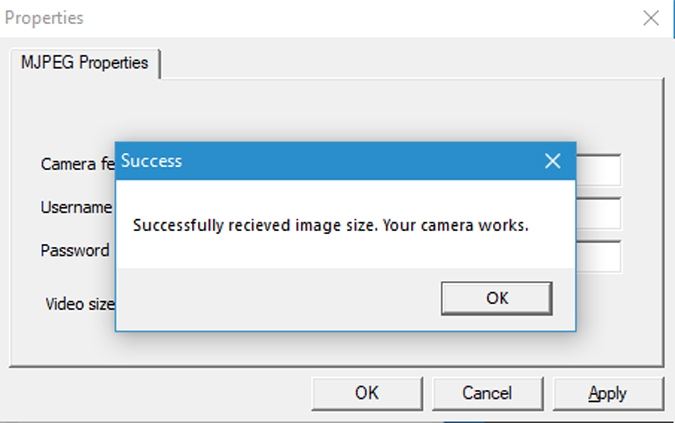 The web client of the IP Camera Lite just connects instantly but it ain’t the same for the desktop application. The desktop client application ends up not responding every single time. I wouldn’t recommend using the desktop app. So, if you use Skype on Desktop, kindly skip this one. It works only with the Skype web app. Another problem is that you cannot select the resolution for video streaming. You also have a paid version of IP Camera Lite called “IP Camera” priced at 1.99$. Premium Features: No watermark, Video recording upload via FTP or One Drive, Mail notify, port forwarding, etc. IP Webcam is another webcam app for Android and Windows. The interface of the app is fairly orthodox with the settings menu as the home page. You can choose to set login/password for the client app or the preferred port you want the server to accept connections from. The default port is 8080 which can be easily mapped to another port number. The webcam supports streaming up to maximum camera resolution. The setup is similar to IP Camera lite. You can connect to the phone camera via a web browser or desktop application. But thankfully, the desktop application here works flawlessly. 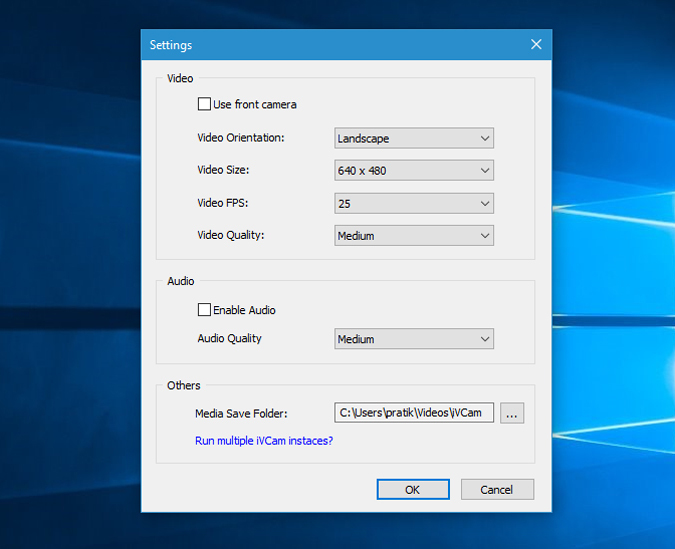 You can also set the video resolution through the mobile app and even through the client desktop app. Other features involve using the phone as a CCTV camera for surveillance. The live footage can be viewed & saved through the web portal. The connection process on the IP webcam is smooth but you don’t get basic features on the mobile app. Like, you cannot flip between the rear and front camera. You have to instead go to the web portal to do this. Premium Features: The premium app IP webcam Pro can be downloaded from the PlayStore at almost $4. 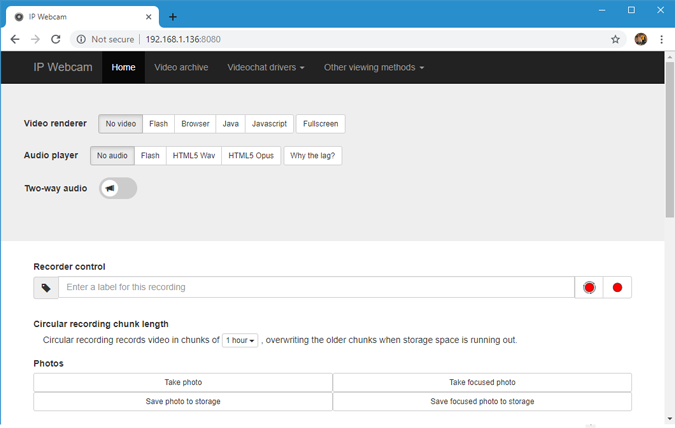 It includes uploading your webcam footage directly to Dropbox or SFTP server. Moreover, you get audio streaming and recording as well. DroidCam is also a small webcam utility but with some extra features. The interface of the app like all the other apps in this list is quite basic. As soon as you open the app, you will be greeted with the connection details. You can set username and password in the settings menu and also change the port number. 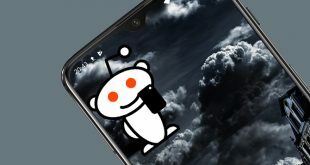 Similar to the other apps on the list, you can connect to the mobile app via the web browser or desktop application. 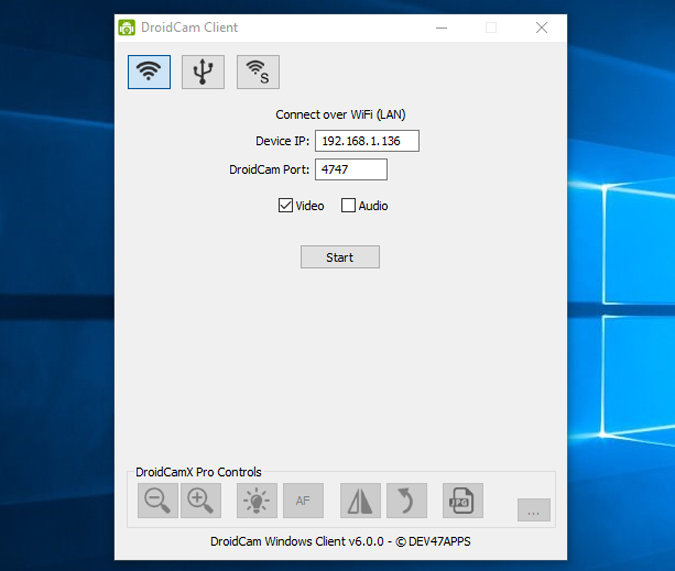 DroidCam also provides additional options of connection via USB or Wi-Fi. It is a great option as the latency when connected through USB is insignificant. The app supports resolution of only up to 480p in the free version. It also provides an extra option of keeping the camera awake in the background. This really makes the webcam very sneaky and you can use it to monitor kids. The app connection is one of the best out there but it lacks basic controls. You cannot flip the camera after you have established the connection. The resolution is also limited to 480p in the free version. Premium Features: No Ads, High-res video support (up to 720p in HD Mode), Experimental ‘FPS Boost’ option for up to 2x the framerates. iVCam is the only app in the segment with more of a modern UI. 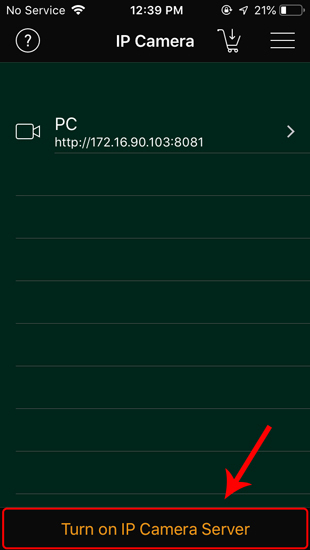 As soon as you open the app, iVCam starts searching for the laptop with the client app in the local network. Once, it detects the app the camera interface opens. iVCam has one of the smoothest connection processes in the list. The camera interface here is quite unique out of the other 3, it supports touch gestures. You can swipe left/right to adjust ISO, up/down to adjust the exposure. You can also pinch in/out to zoom in and zoom out. It is a handy thing to have. In all the app UI is pretty intuitive. It tells you about the network connectivity and even has an auto-reconnect feature. In addition to it, you can also connect multiple devices to your iPhone. That way, it broadcasts the same video stream to all the devices. The overall experience of the app is wonderful with just one major complaint. You get full-screen ads between the video streaming. I mean, you can live with banner ads and watermark but full-screen ads are a deal-breaker. You can upgrade to the premium variant to stop ads and watermark which is priced at $7.99. Premium Features: No Ads and watermark. If you are using an iPhone and either a PC or macOS, then IP Camera Lite should be a good option. In case you have a Windows system and an iPad or iPhone, consider buying the premium version of iVCam. For the Android and Windows combination, IP Webcam works best. You get clear footage at the highest resolution and without any watermark. For any queries or issue, comment below and let me know.